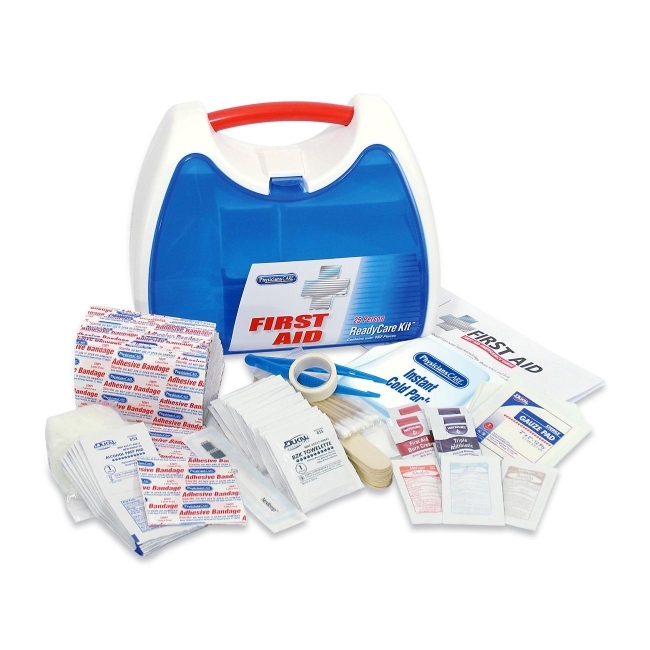 ReadyCare Kit features a transparent door and organized compartments to allow easy access for the right items when needed. Essential first aid items include disposable thermometer and medicines to treat pain, fever and upset stomach. Carry plastic kit easily with a sturdy handle. Kit is mountable for a fixed station.